Studies in humans, animals and cell culture systems suggest that dietary phytoestrogens play an important role in prevention of menopausal symptoms, osteoporosis, cancer and heart disease. Broadly defined, phytoestrogens include isoflavones, coumestans, and lignans. Alfalfa sprouts, soybeans, clover and oilseeds (such as flaxseed) are the most significant dietary sources of isoflavones, coumestans, and lignans, respectively. A number of these compounds have been identified in fruits, vegetables and whole grains commonly consumed by humans. Proposed mechanisms include estrogenic and antiestrogenic effects, induction of cancer cell differentiation, inhibition of tyrosine kinase and DNA topoisomerase activities, suppression of angiogenesis, and antioxidant effects. 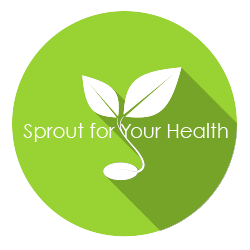 Although there currently are no dietary recommendations for individual phytoestrogens, there may be great benefit in increased consumption of plant foods; especially sprouts such as Alfalfa, Clover and Soybean, and flaxseed.